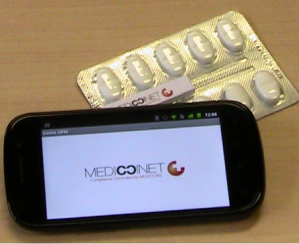 Confrérie Clinique’s smart devices can be scanned and read out by NFC enhanced smartphones on which the Mediccinet™ app has been installed. Confrérie Clinique’s smartphone app can be customized to suit specific customer requirements. Contact us for further information or for a free trial of the MediccinetTM smartphone app.